The Forever War is still ongoing, and Marygay Potter is called out to Alphi-10 to engage on another Tauran front. She has lost William to time; he is somewhere out in the stars moving near the speed of light into a collapsar. Marygay has found companionship with a woman named Cat, but she must catch up on military technology and ready herself for the next battle. Disclaimer here, Joe Haldeman’s Forever War is another one of those things which I’ve yet to read, both the novel and the comic adaptation. Thankfully, Forever Free fills in the reader on the universe, its rules, and its leading character. In fact, it does so to such a degree that I’d imagine someone who read Forever War would feel like they’re getting a lot of recap. Forever War and Forever Free are hard sci-fi. The world follows permutations of real-world scientific observation. Time dilates near the speed of light. Long-distance travel sends its passengers through a collapsing star into another point in the universe. This makes the story a bit more nihilistic—Marygay’s life is effectively gone—and less fun than something like Star Wars. However, not everything needs to be Star Wars, and Forever Free lends itself to a more cerebral and self-reflective atmosphere. The plot moves forward fairly slowly thanks to its explanation of the rules of its universe. However, this explanation allows for characterization of Marygay and gives you an idea of what she’s been through. In fact, it flows better than the battle climax, where the story gets confused and attempts to reach for some higher meaning which I’m unsure it effectively reached. The book gets hung up a lot on its created sexuality politics. Heterosexuality is seen as bizarre at this point in the future, and it rings a little too familiar to the fearmongering about the gay agenda. Marygay is with a woman for a part of the comic, but the book makes it clear she is meant to be with William. Marvano’s artwork is something of a stripped-down style where detailing is only as expansive as need be. It looks good and matches the dry atmosphere of the story. It gets really hectic in the battle sequence, as I’m still unsure of what all happens. This could be a scripting issue, but the climax is a visual mess. 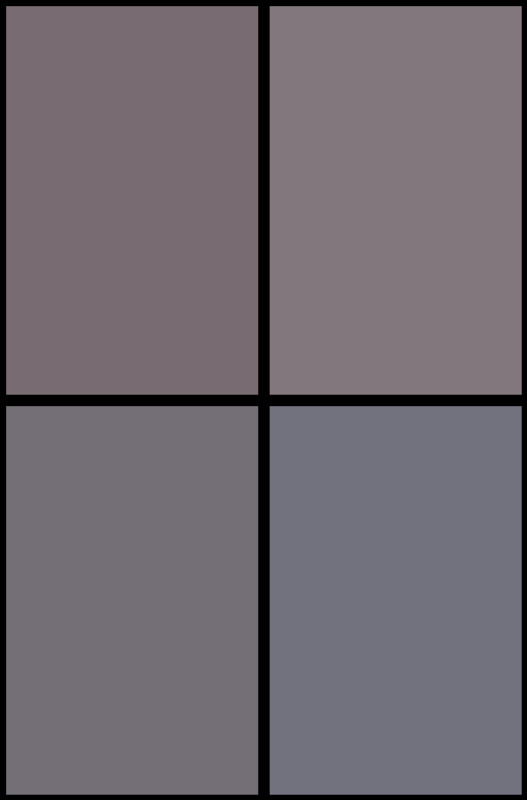 The colors are muted, and this contributes well to the tone of the comic too. 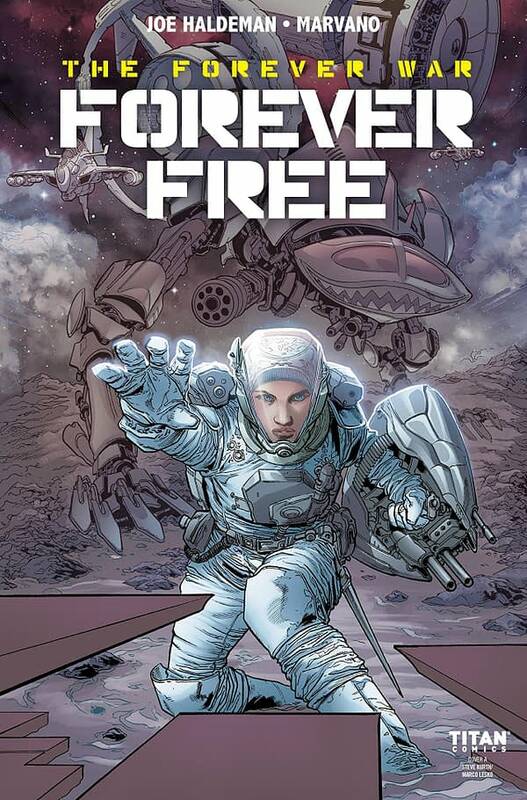 Forever Free is an enjoyable and ponderous follow-up excursion into the Forever War universe. It handles its dry tone, pseudo-nihilistic philosophy, and war-weary lead quite well. It has its problems, but it comes out the other side as an enjoyable comic. I can recommend this one. Feel free to check it out.